There are only two rounds left in the Premier League which means the Fantasy Football is about to reach boiling point. Round 37 looks set to decide many managers' fates as it is a double game week which means extra games and extra points. 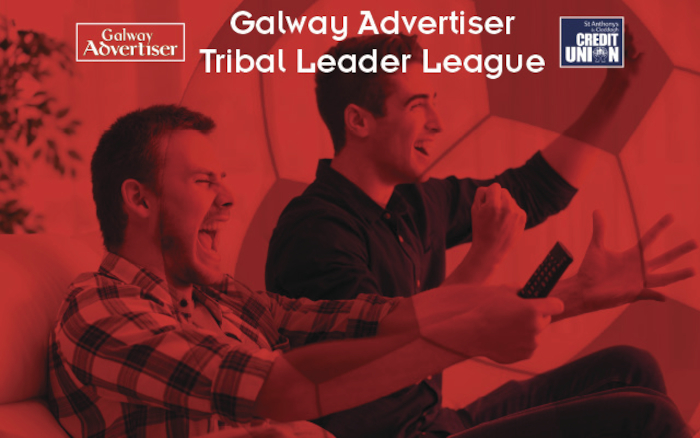 So who should you select to make sure you are heading in the right direction in the Galway Advertiser Tribal Leader League in association with St Anthony's and Claddagh Credit Union? The Spurs' frontman has received a fair amount of criticism recently for his lack of success in front of goal. He even got some stick for only scoring one goal against Watford on Monday night. But the fact the English international found the back of the net usually means he is about to start a scoring spree. The north London side takes on the bottom of the table, West Brom, and mid-table, Newcastle United, on Saturday and Wednesday respectively and I expect Kane to help himself to plenty of goals as he and his mates chase that priceless fourth spot and Champions League football for next season. Make him your captain for double the points. City may have the title secured but Pep Guardiola's men are still playing for history; the most points and goals in a Premier League season. The Citizens are a win and two goals away from breaking Chelsea's Premier League points and goals record set in 2005 and 2010 respectively. Raheem Sterling is on fire at present with three goals and seven assists in six games. City play league strugglers Huddersfield and Brighton in round 37, at home, and Sterling and co will no doubt want to break the record in front of their supporters at the Etihad. Get him in your team. Roy Hodgson said the Ivorian would be crucial for Palace's hopes to stay in the league and those words seemed to be prophetic as the winger has bagged himself four goals and three assists in the last seven league games. The Eagles make the trip to Stoke this Saturday knowing three points will secure their status as a top division club for another season. Stoke, on the other hand, need a win to have any hope of staying up. I can only see one winner here and Zaha will have a field day against the league's second worse defence (65 points ).